After a beach escape? 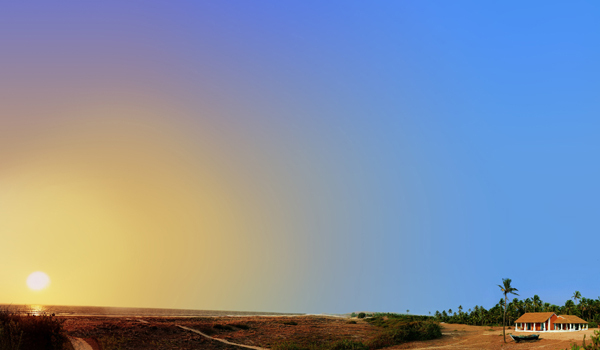 On your next trip, skip the Caribbean and book a flight to India. Given that the country’s coastline stretches for a sprawling 7,517 km, you’ll have your pick when it comes to sun and surf. Whether you’re after remote stretches of white sand, crave a luxurious tropical getaway, or want to mix urban excitement with waterside relaxation, we’ve handpicked six of India’s best beaches for your next retreat. Quiet coconut groves, golden sand, and a rambling chaiwallah to bring you afternoon refreshment: Marari Beach in Kerala is pretty special, as far as India’s best beaches go. 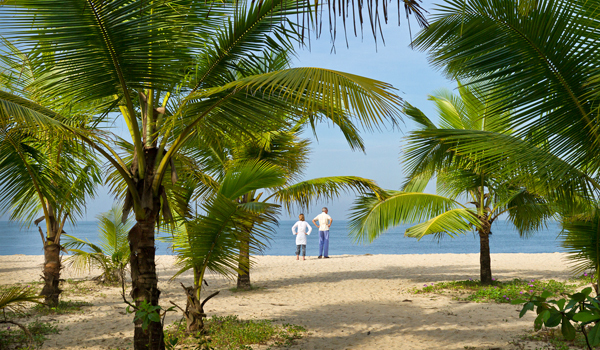 The CGH Earth resort overlooks an unspoiled stretch of coastline north of Alappuzha. In lieu of touristy bars and clubs, the beach here is more frequented by local fishermen, and serves as a haven for local biodiversity, including sea turtles and shore crabs. 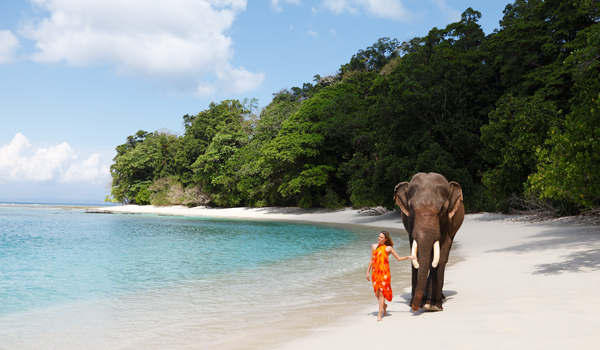 Look at any photos of Havelock Island – one of the Andaman Islands, located in the Bay of Bengal – and you’d think they were taken in the Caribbean. This paradise of white beaches, coral reefs, and exceptional diving is a beach lover’s dream. A stay at the luxurious Barefoot at Havelock resort provides access to the best of the island, including an exclusive location on the famous Radhanagar Beach. 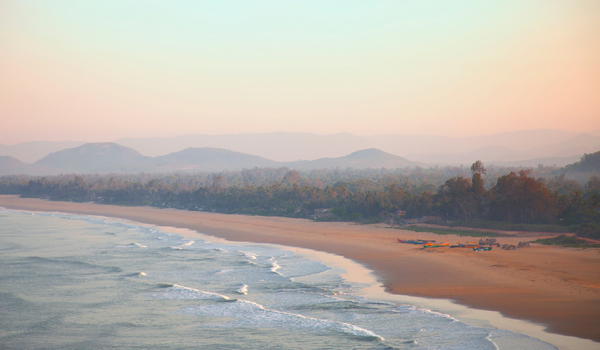 Gokarna, which is located on the Arabian Sea coast of Karnataka, is among beach seekers’ top destinations in India. Host to a clutch of pampering resorts and laidback cottages, the small city draws travellers with its landmark waterfronts like Kudle Beach and Om Beach, both of which offer pristine sand and surf. For an even quieter spell along the sea, guests can amble to the more isolated Half-Moon Beach and Paradise Beach which, true to name, are also havens of tranquillity. 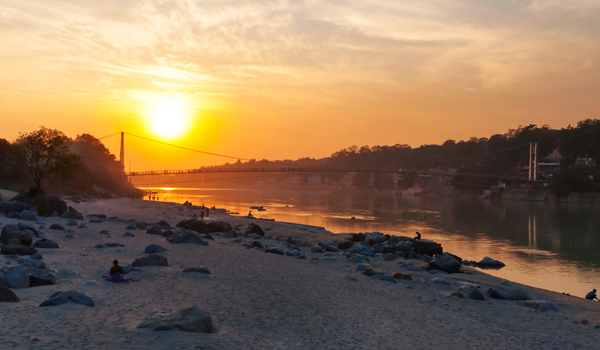 Those in search of India’s best beaches might be puzzled to see Rishikesh on our list, given its remote location in the Himalayan foothills of Uttarakhand. But this spiritual city also overlooks the sacred Ganges River, and here the river is flanked in many places by gorgeous white sand beaches. Many come to enjoy the famous white water rafting, but volleyball, beach camping, and simple relaxation are also reason enough to plan a stay. 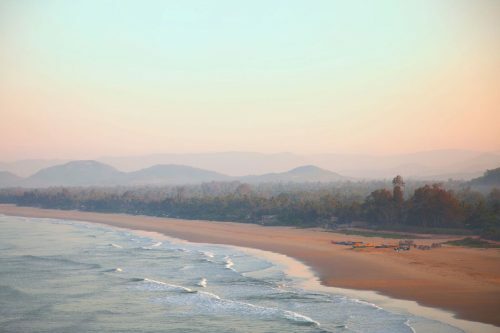 Goa may be world-famous for its beach parties, but this popular seaside destination also offers up some quiet corners. Evidence? Elsewhere, one of the region’s most picturesque resorts. Flanked on one side by the meandering Otter Creek and on the other by the sea itself, this isolated stay offers guesthouses located directly on the sand, which is semi-private and offers some of the best swimming conditions in Goa. 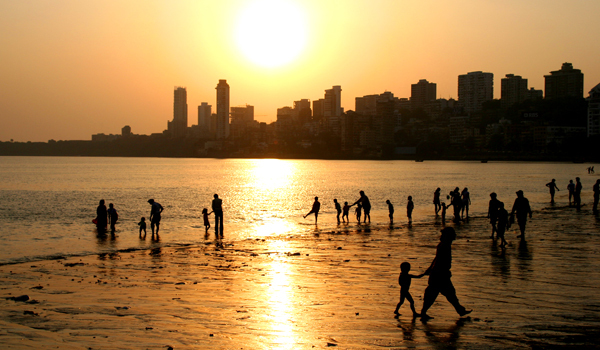 Though no one will mistake it for a stretch of isolated paradise, Chowpatty Beach, located in the Girgaon area of Mumbai, offers a uniquely colourful slice-of-life experience of the Indian metropolis. Frequented by locals and host to several important religious festivals, it provides a refreshing breather after days exploring the teeming city.